Whoopi Goldberg in a bathtub of milk; Demi Moore draping an arm over her enormously pregnant, naked body; Queen Elizabeth II looking like a Gainsborough painting set against a moody gray sky: Annie Leibovitz’s photographs are so indelible, they have become a part of our collective consciousness. Over the course of an almost 50-year career, Leibovitz has photographed a naked John Lennon clinging like a barnacle to Yoko Ono hours before he was assassinated; Al Sharpton in hot rollers; Mick Jagger riding the elevator in a bathrobe; and Stephen Hawking alongside his lifelong companion and yoke, a wheelchair. And she has traveled, camera in hand, alongside gonzo journalist Hunter S. Thompson and the Rolling Stones on their 1975 tour. Leibovitz will discuss her early, formative years as well as her current work in “An Evening With Annie Leibovitz” Nov. 29 at the Cobb Energy Performing Arts Centre, drawn in part from her best-selling memoir “Annie Leibovitz at Work,” first published in 2008 and reissued this month with three additional chapters and a host of new images. An intimate, confessional break from the usual massive coffee-table photo book, “At Work” is filled with advice for young photographers, personal anecdotes and dishy bits about her life spent among the most beautiful, accomplished, well-compensated people on the planet. When Leibovitz began her art school studies at the San Francisco Art Institute in 1967, she says, she was inspired by fine art heavyweights like Henri Cartier-Bresson and Robert Frank. “Then I started working for Rolling Stone, and I thought I wanted to be a journalist,” Leibovitz says, speaking by phone after a very late night watching the Nov. 6 election returns. A chief photographer at Rolling Stone for a decade, Leibovitz’s work charted the wild excesses of the musicians she photographed during the tumultuous ’70s. Much of that desire, to capture everything, and not miss a beat mellowed with age, a 15-year relationship with writer Susan Sontag, the birth of three children and a shift to the glamorous, stylized celebrity photography that has made her one of the most influential photographers of our age. “Now that I am a lot older and I have children and a family, I would like to go home, and I think the subject would like to go home, too,” she laughs. Those early years also saw the development of her own artistic voice, which seemed to anticipate the early Apple tagline to “Think Different.” In 1974, when other photographers were jockeying to get the money shot of Richard Nixon as he left the White House for the last time beneath a cloud of shame, she shot three white-gloved Marines attempting to maintain their own dignity, rolling up the presidential carpet as it blows back onto them, just as Nixon’s copter ascends into immortality. Without ever showing Nixon, Leibovitz captured the shame and unceremonious quality of that exit. At the time, Leibovitz says, “there wasn’t room for a photograph like that. And now today it’s expected to photograph in-between” decisive moments. She praises the new breed of photojournalists she sees working today, many of them women, for outlets like The New York Times and The Washington Post. In 1983, Leibovitz became Vanity Fair’s first contributing photographer, shooting captains of industry, moguls, movie stars and high achievers of every stripe, though she still has one unrealized dream subject. “I’d love to do Angela Merkel, but she’s holding out,” she says of the German chancellor. Leibovitz has often detoured from that world of fame and fortune to pursue personal projects: including the wars in Sarajevo and Rwanda, and a 2000 book of portraiture, “Women,” with a preface by Sontag. Leibovitz confesses she is gearing up for another deep dive, this time a drive across the United States photographing people and landscapes. But even Leibovitz’s commissioned projects have often drawn from her interest in thinking differently, especially when it comes to depictions of women. “I always would like to think that my photographs are centered on what people do and who they are and not what they look like,” she clarifies. She recently tackled one of the most lucrative and prestigious assignments for a contemporary photographer, the 2016 Pirelli calendar, by shooting not half-dressed supermodels but influential women in art, sports, philanthropy and entertainment in black and white. 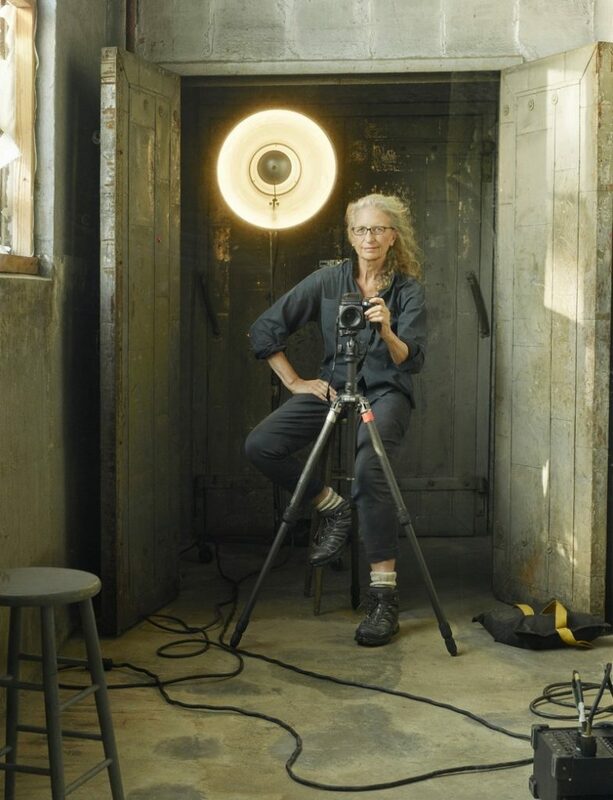 Leibovitz has used her professional commissions like Pirelli, but her more personal projects, too, to grow as an artist, and to hone her craft as a means of self-exploration. 7:30 p.m. Thursday, Nov. 29; doors open at 6 p.m. $29.50-$99.50. Cobb Energy Performing Arts Centre, 2800 Cobb Galleria Parkway, Atlanta. 770-916-2800, cobbenergycentre.com.